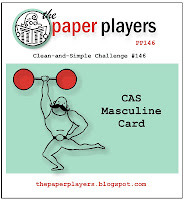 This week at The Paper Players, the theme is Masculine Clean & Simple. 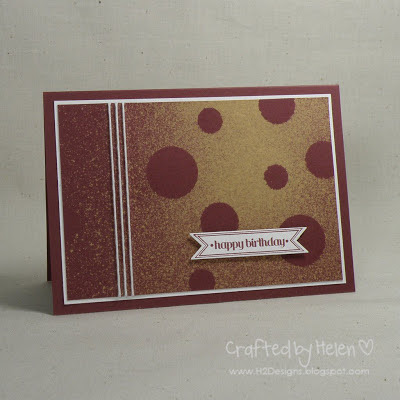 I punched some 1/2", 3/4" & 1" cardstock circles & temporarily adhered them to the card panel. I mixed up a 50:50 solution of bleach & water in a spray bottle & misted the panel. I removed the circle masks, gave the panel a blast from the heat gun & this is the outcome. All SU except for the bleach solution.